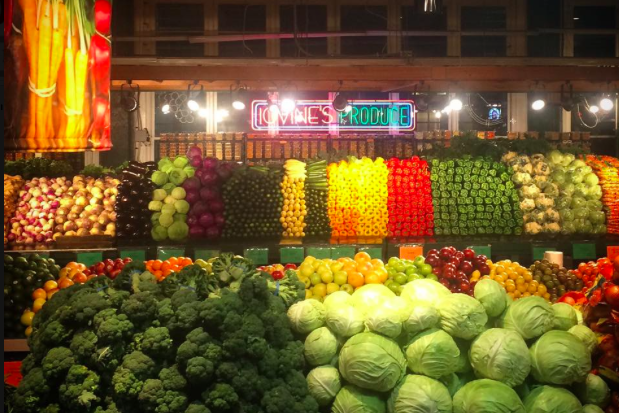 Iovine Brothers Produce at Reading Terminal Market. Broccoli, the most stereotypically hated food, has benefits well worth the sacrifice to your taste buds. Dr. Rangan Chatterjee said in a recent interview that broccoli could suffice as the only vegetable you need to eat to reap the benefits of a greener diet, effectively improving most aspects of your health. What makes broccoli so good for you? As broccoli travels through the gut to the small intestine, gut bacteria turns into healthier bacteria as broccoli’s indigestible fibers reach the colon. With improved health for your gut and bowel movements, mental health can also get a boost. According to a recent study out of Harvard University, gastrointestinal disorders are greatly related to mental stresses, including anxiety and depression. Though Harvard’s mental links are a more recent discovery, previous studies also link broccoli consumption to heart health, eye health, cancer prevention, and cholesterol health. That covers a lot of bases. Unfortunately, the only way to consume broccoli and reap the health benefits is to take it in probably the least desirable way possible -- raw. No boiling, steaming, or drizzling with oil and cheese -- just close your eyes and think of England. Maybe it’ll grow on you?